September 11, 2017 By Morgan M Woods Leave a Comment This post may contain affiliate links. As the children go back to school I’m sure I can’t be the only one wondering how I’m going to feed those hungry mouths at lunchtime. We opt for packed lunches here as it works out so much cheaper and we often have a hot meal at home in the evening. We want to keep our food budget as low as possible right now as we have some big savings goals. 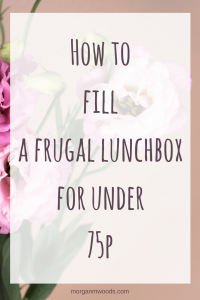 Can you realistically fill a Frugal lunch box for under 75p? Here is what my family regularly have in their lunch boxes and the rough costs of each item. We shop at Tesco and don’t always get the value branded one so you could cut even more costs by going down a brand level. My family eat a lot as they are always very active. We also pick up things on Shopmium for free or heavily discounted which saves lots of money on snack type items. 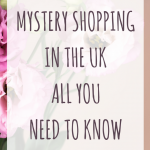 I also take part in mystery shopping which can often lead to free lunch items too. I got the kids involved over the summer holidays and we brainstormed lots of frugal lunchbox ideas that they would like to try. We did some research and discovered that buying big 1kg bags of raisins works out a lot cheaper per portion than buying the little boxes. So now we just portion up our raisins the night before ready for our busy morning. Cheese was another one we found much cheaper to buy in bulk and portion up ourselves. It doesn’t take long to cut a bit of cheese and wrap it in some cling film, most of the time your paying for convenience. 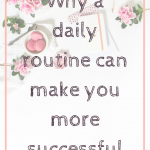 If you just get yourself organised the night before you soon get into a routine of doing these things. Other things to buy in bulk include nuts and seeds, pasta and dried apricots, often much cheaper to buy a bigger quantity and store in an airtight container. A good tip is to compare the price per unit instead of the overall price. If you get confused Mysupermarket has a search option which lists in order of price per unit. 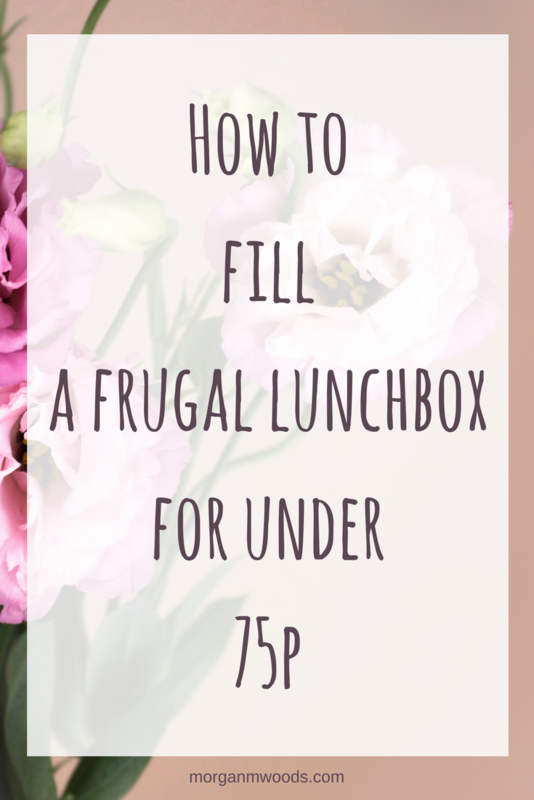 So as you can see .. you can definitely fill a frugal lunch box for less than 75p! I would even go as far as saying you could fill a lunchbox for less than 50p if you worked in a few more value brands or shopped somewhere cheaper. We try to eat as healthy as possible on a small budget. Always having the wholemeal option where possible and eating plenty of fruit and veg. We often meal plan our lunches to reduce food waste and make sure we’re not eating the same things over and over. How do you save money on your families lunches?